Please allow me to be talk a little bit about myself and my own faults. If there is one thing that I want to change about myself, then it is being more organized. This is a constant struggle and increases my level of stress. I always seem to do things last minute and funny enough I have come to terms that I deliver some of my best work when I procrastinate. However, in my professional life people would never think that I am disorganized. They won’t experience me being late for a coaching call, for workshop facilitation or even for a business meeting. It takes great effort for me but I truly believe it doesn’t show any respect for other people’s time when I am late. It also gives me a sense of fulfillment when I manage myself well. Having said this, lately I feel that I have to deal with people’s “lateness” more than I would like to. There is no shortage of excuses. People don’t even apologize when they show up 15 to 30 minutes late. How are you managing yourself and your time? What would it take to get up a little bit earlier? In what areas of my life am I late? What’s the pattern? How can I get better? What am I missing? 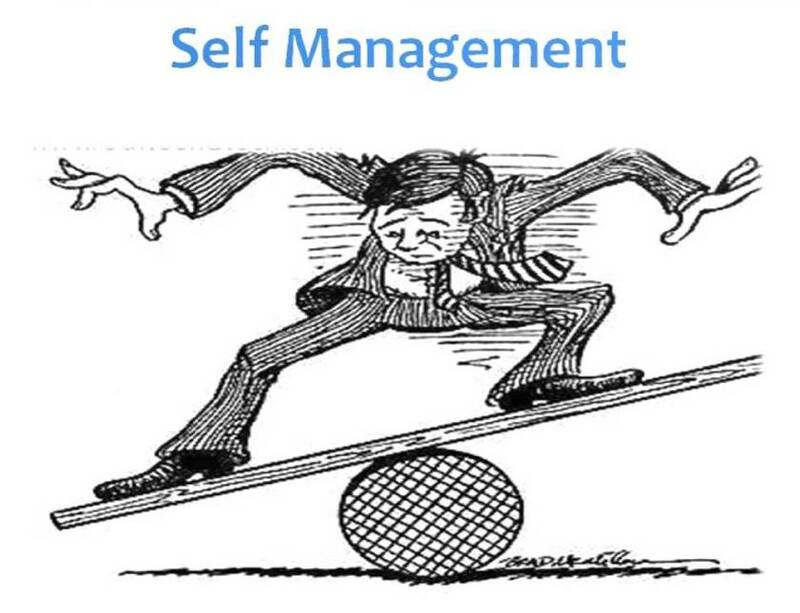 How do I practise self-management and self-discipline in my personal and professional life? Am I mindful how my bad behaviours impact the people around me? Am I busy or am I productive? When do I usually get off track during the day? How do I set my priorities? Does the day run me or do I run the day? It is one thing to be more considerate about other people’s time but how does this impact the overall quality of your own life?